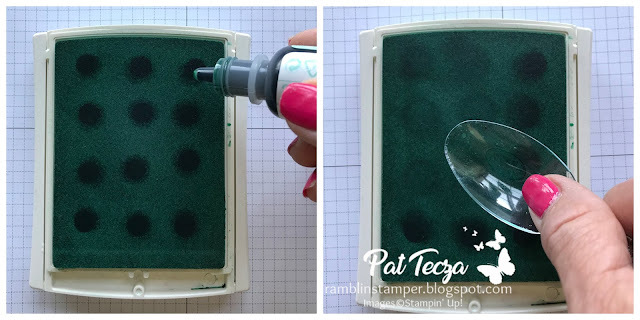 Today let's talk about ink pads. Specifically, how to re-ink them and keep them working like they did fresh out of the wrapper! Definitely time to re-ink. Now that you know it's time, how do you do it? Great question! I start out with about 12 drops spread around the pad evenly. On the current style foam pads, you'll want to take the back of a spoon and gently massage the ink down into the pad. I keep a plastic spoon with my re-inkers just for this purpose. 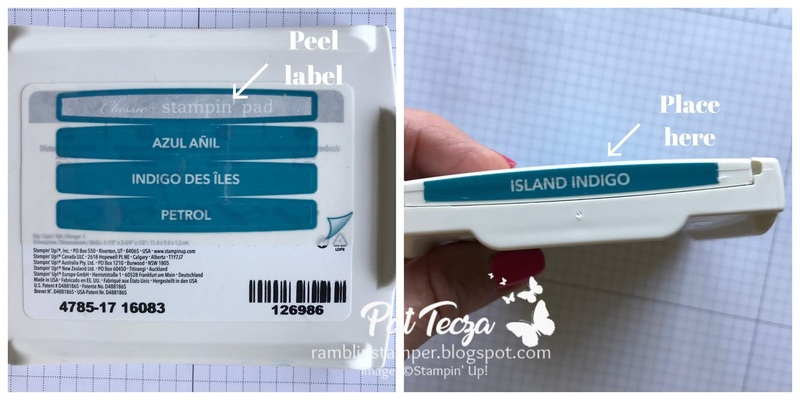 You may need to repeat this 2-3 times to bring your pad back to it's original condition. Just do a few test stamps after each re-inking - it's easy to add more ink but difficult to remove (but not impossible)! If you're working with the older style cotton ink pads, it's not necessary to push the ink into the pad - it will naturally soak in. 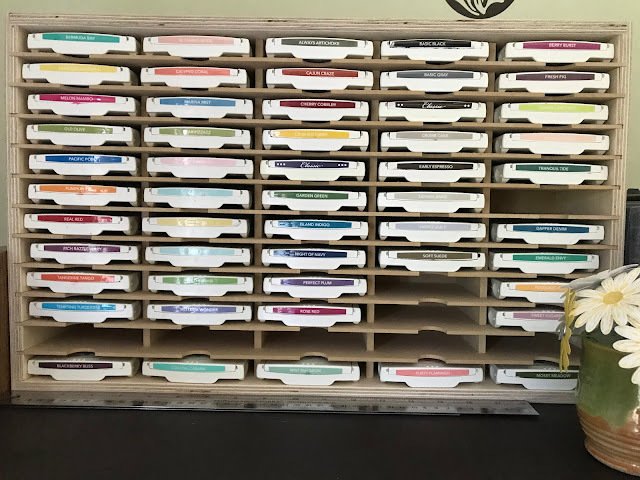 Are you storing your ink pads properly? They should always be stored flat with the label side up. Stampin' Up ink pads are designed so that when the label side is up, the ink pad is upside-down in the case. This keeps all of the ink close to the surface of the pad and ready to go. There are name labels on the bottom of each ink pad in four different languages. Simply peel off one of them and place it on the end of the case so you can instantly see the colors when they are stacked for storage. I can't stress enough how important it is to have re-inkers for all of the ink pads you own. So many stampers wait until they need them before they buy. I was guilty of this when I first started stamping, too! It's hard to buy something that you don't need at the moment when you've already spent a bundle. But here's the thing: You've already made the investment in a quality ink pad. Don't let that go to waste because you can't rejuvenate it with fresh ink! 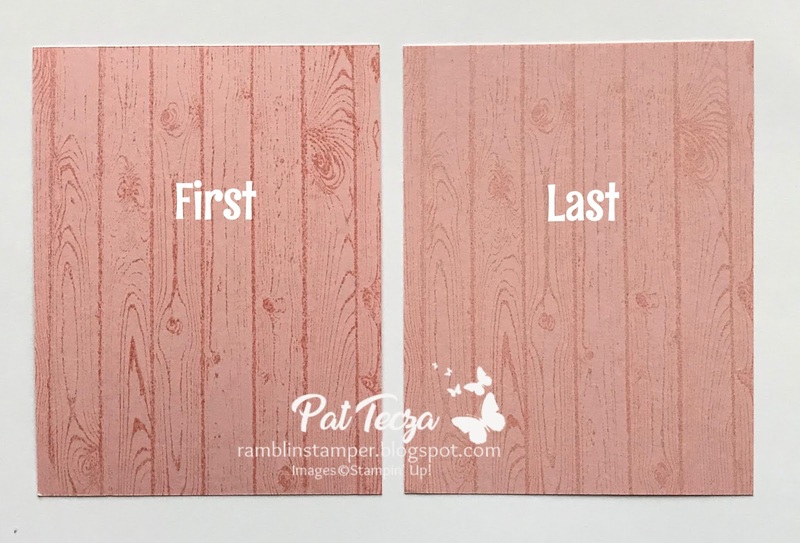 Stampin' Up is retiring 17 colors on May 31. Please check your inventory now to see which of these ink pad colors you own and if you need the re-inker, do the smart thing! Here are the retiring colors - simply click on the link to purchase the ones you need. (Always Artichoke is already sold out but as of today the others should all still be available).